Do you know a young professional that is a rising star in the venue industry? 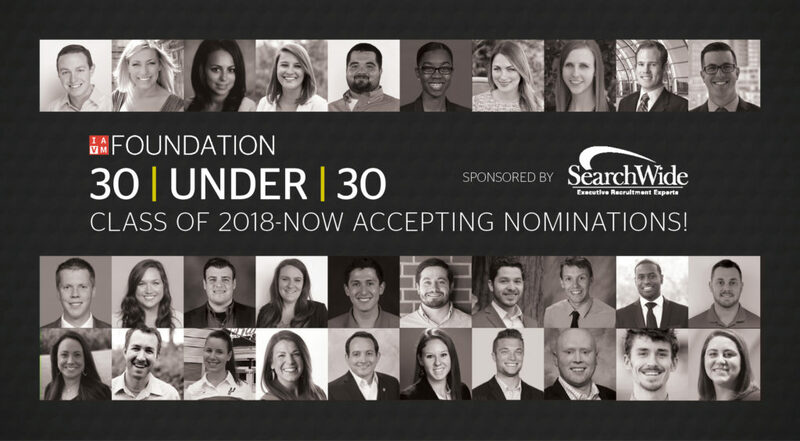 Nominate that individual to be a part of the 30 |UNDER | 30 Class of 2018! Launched at VenueConnect 2015 in Baltimore, 30 | UNDER | 30 focuses on identifying and developing the talent of venue industry professionals, 30 years of age and under, through increased access and exposure to industry networking and thought leadership. The program provides year-round continued education for professional growth in the venue industry and helps program participants become better, more productive employees. Selected applicants will receive a travel stipend of $800 and complimentary registration to attend VenueConnect, IAVM’s Annual Conference & Trade Show. Honorees notified in May and will be recognized formally at the Venue Industry Awards luncheon in Toronto, July 25. The deadline to receive nominations is March 31, 2018. Click here to learn more.